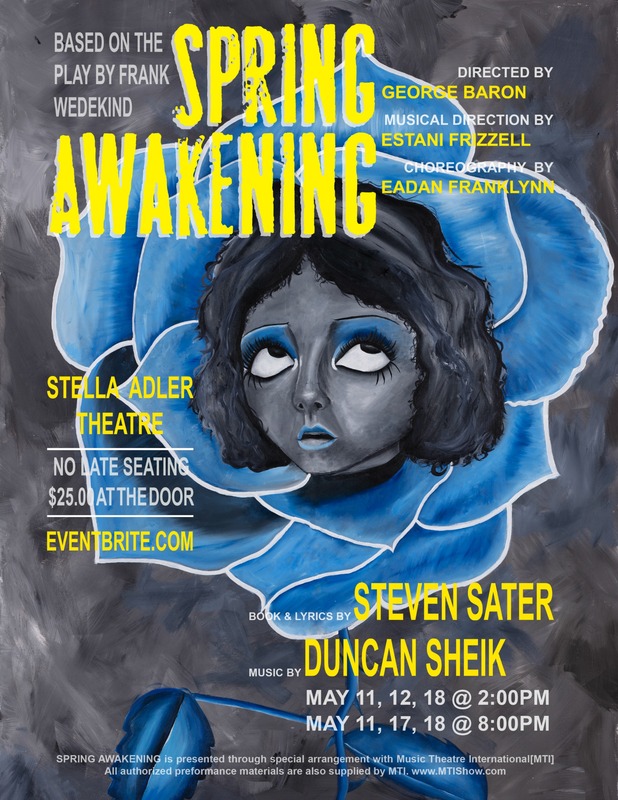 A teen-helmed production of the Tony Award-winning rock musical, Spring Awakening, is set to open at the Stella Adler Theatre in Hollywood on May 11, 2019. Directed by 14-year-old wunderkind George Baron, (whose directorial debut for the stage was his jukebox-styled Broadway musical revue I Confess at the Whitefire Theatre), the cast also features up-and-coming young talents performing in the adolescent roles with musical direction by Estani Frizzell. The musical is based on Frank Wedekind’s 1891 controversial play about teenagers trying to find their way in the world amid the angst of sexual discovery. Featuring music by Duncan Sheik and book and lyrics by Steven Sater, the original Broadway production received eight Tony Awards including Best Musical and was hailed by the New York Drama Critics Circle, Drama Desk, and Outer Critics Circle as the Best Musical of the Year.